"We were very successful with the holiday pet fund raiser. I am incredibly proud of how the students implemented their plan and put it into action!" 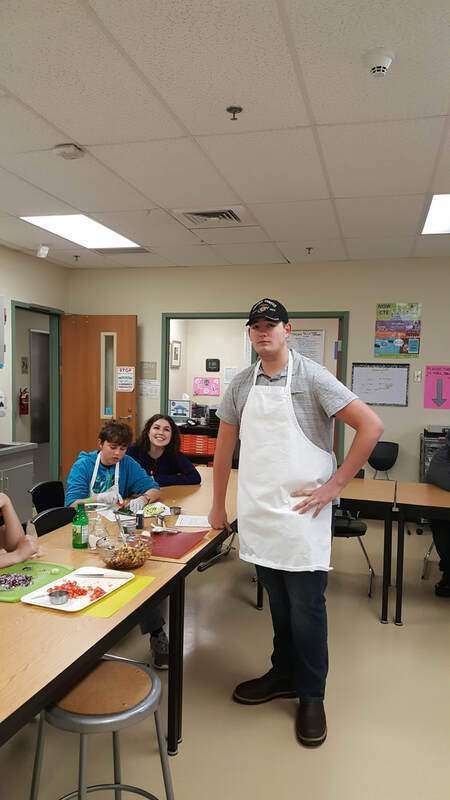 Learning Through Interest kids (Wed Elective) were very successful in their Pawliday fundraiser for needy dogs and cats this past December. 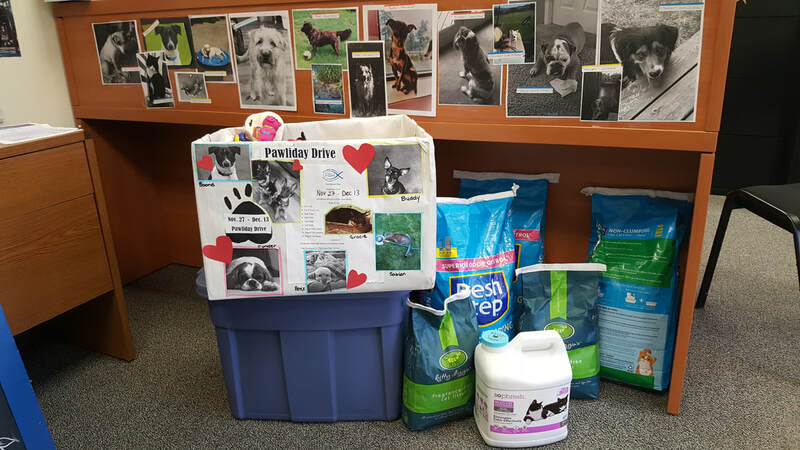 Lots of dog and cat treats, bedding, toys, food and cat litter were collected by donation. The FISH Food bank was the recipient and they were incredibly grateful. The LTI class delivered the collected items and then stayed for a few hours and volunteered their time to assist FISH additionally. There was a competition between CORE classes and Eileen's class won - and they will be enjoying a pizza party to celebrate their hard work this week!